"From where you’d rather be." There’s nothing better than kicking back in the warm summer grass, sun fading, laid-back beats and an ice-cold beverage in hand. Returning for the second year in a row, the Corona Sunset Bar which resembles the wooden beach side bars of Mexico. It will be set up in the same primo spot as last year so bring your buddies and enjoy the mint view of the main stage with a chilled cup of Corona. Keep an eye out for the Sustainable Coastlines crew too. Corona are stoked to have a partner as amped about the coastlines as they are. Together, they’ll be sharing ways you can get involved in enjoying and looking after our idyllic beaches this summer and for years to come. For all the world’s artists. From the unknown to the greatest. Because music is here to be played with." New Zealand’s very own Serato is a world leader in audio software for professional DJs and musicians across the globe. Artists such as Fatboy Slim, DJ Snake, Major Lazer, DJ Jazzy Jeff, Mix Master Mike (Beastie Boys) and many of the DJs playing at Splore love and perform with our software. Splore is all about music, having fun and partying which is the very essence of Serato "We bring the math, you bring the party". Join our party at the Old Mout beach bar where Serato will own the stage and bring you a banging sound system for this year. See our tech in action, or chill out up in the bush disco listening to Serato iOS app ‘Pyro’ mixing the tunes. This is Spark’s first year at Splore and we couldn’t be more excited to support the festival. Music has long been at the heart of our offering to customers. Spotify Premium is included on selected Spark mobile plans, Spark Arena is one of the best places in New Zealand to watch live music – and Spark offers presales and exclusive access for our customers to some of the best music events in New Zealand. This year, we’ll be relaxing at the new Woodlands Bar, set behind the main stage. Come and join us and enjoy beautiful views of the bay while sipping a cold drink in one of our huts. Spark will also be supporting Splore with e-programmes. For the first time, all the information that you traditionally got in the paper programme will be available to all Splore attendees on a mobisite. Just text ‘Splore’ to 332 and you’ll receive a personalised link. The site is packed with information, including all festival timings, what’s on when, festival maps – and photos of you, if you’ve been snapped by one of the roaming festival photographers! Plus, Spark customers will be able to access exclusive deals. Smirnoff awakens the potential in every situation and sees Splore as a place where people have amazing beach-side experiences, in the heat of the summer sun where they too can release their very own potential. Smirnoff's new Smirnoff Pure Product with just vodka and natural ingredients is the perfect fit for Splore and their values, it is the ultimate drink for the light refreshing taste of Summer, and Splore provides the setting and experience for just that. Find your way to the Smirnoff Beach Bar, sit on a beach towel, picnic table or deck chair and drink Smirnoff Pure's in the sun, whilst enjoying the Splore festivities. As day turns to evening, Smirnoff lights up the night at the DJ Bar with delicious cocktails, bringing the atmosphere and party to all! Here at Phoenix we like to collaborate with people that match our passion and we’re now in our 4th year of partnership with Splore as we are aligned on many of our values. This year at Splore we’ll be back with our non-alcoholic Phoenix lounge set up down by the beach. We'll be bringing our new Phoenix Caravan and we will have our sampling team on site to deliver you some of our new drinks. Our new premium organic mixers will be used throughout the Splore bars to keep your spirits happy, and deliver you a premium organic mixer to pair with your favourite cocktail. Our vegan-friendly Babydoll wines come from New Zealand’s leading grape growing regions, Marlborough and Hawke’s Bay. Everything we do in the winery and out in the vineyards is low impact, focused on sustainable winemaking methods. All our wines are crafted to capture distinctive varietal characters and complexity creating the pure and intense flavours our Babydoll wines are known for. Our name comes from a tiny sheep that can keep our premium Marlborough vineyards tidy year-round, because they're too small to reach the grapes. Using one of nature’s lawnmowers means our wines are better for the environment and taste better too. 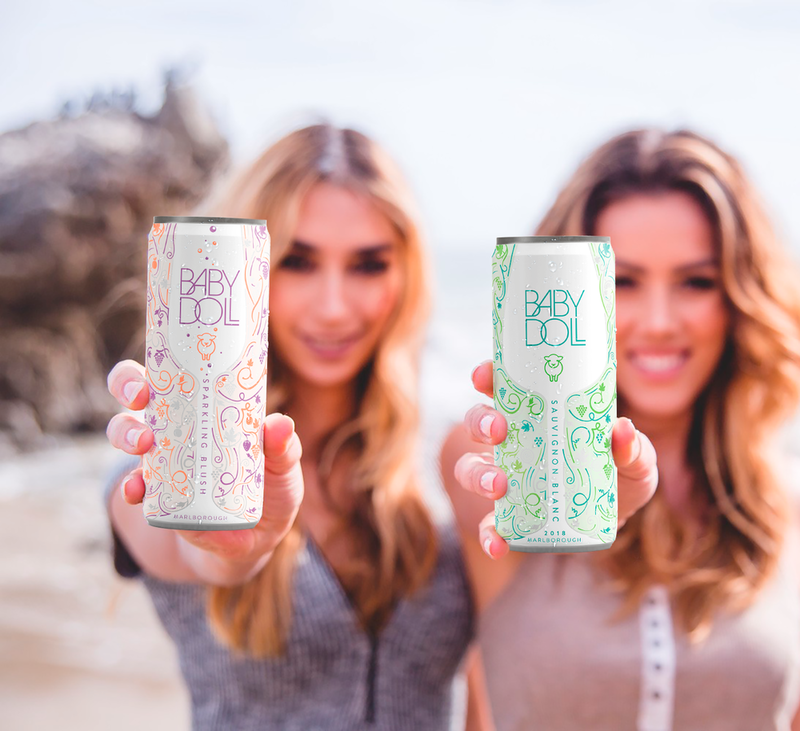 This year at Splore we are pleased to offer our new Babydoll cans! Wine in a can is perfect for us Kiwis who pretty much live outdoor lifestyles once summer hits, providing lightweight, portable and convenient enjoyment! The number 1 tequila in the world and has a representation to be creative, innovative and fearless, just like the friends and family who come to Splore. We have been a solid partner at Splore for a number of years and are so proud to be here in 2019 for the celebration! Jose Cuervo Tradicional is setting up their beach hut right on the waterfront to bring a little bit of Mexico to the Splore goers this year. Come and join us - play games, get your face painted and have a margarita as the festivities unfold! Always a favourite at Splore we are stoked to be returning to the discovery bar hidden in the trees this year at Splore! This little Gem of a space is hard to find… and you need to book in prior to the festival before the sessions sell out! Keep an eye out on the Jose Cuervo or Splore Facebook page for updates on how to book. Sit back, relax with a beautiful cocktail in hand at the 1800 discovery bar. Almond Breeze NZ is excited to be a part of Splore 2019! it’s our first time at the festival and it’s great to be working with people with such similar values to us. We can’t wait to welcome you to the Wellness Zone, where you can come for some mindful morning yoga (with Almond Breeze mat supplied!) and then relax and recharge afterwards with some Almondlicious treats! Kick back on one of our deck chairs or challenge the kids with a fun game of giant connect four – we’ll keep you refreshedz with our yummy nutrient rich green smoothies, iced chocolates and dairy free barista style coffees. And did we mention the prizes? Yep, we’re giving away daily prizes like on-site brunch, a Nespresso machine, a polaroid camera and much more, so you’ll have ample chance to win as long as you stop by! Nando’s is the home of PERi-PERi chicken and we’re proud to bring our free-range, grilled chook to Splore for the second year in a row! Originally founded in South Africa back in 1987 our African Bird's Eye Chilli has had quite the trip to get here. PERi-PERi is our thing and we’re keen to fire the senses and feed the soul by bringing our Roaming Roost to you. Serving up an array of free-range menu offerings and several vegan options. Just choose your desired basting; Lemon and Herb or for those adventurous flavour seekers, Extra Bloody Hot. Make sure to come and check us out, you’ll find us right next to the Orchard Thieves bar in the area upstairs that has Wendy’s Wellness. It’s the perfect spot to relax, enjoy the music and bask in the PERi-PERi goodness. With an irresistible combination of magnificent natural scenery and a vibrant city lifestyle, Auckland is a place of exciting contrasts and endless adventures. Auckland’s sparkling waters, varied landscapes and cosmopolitan city life combine to make it one of the most desirable places in the world to live or visit. A stunning natural playground, world-class shopping, fine food and wine, spectacular arts and events, and plenty of adventure – you’ll find it all here. New Zealand’s largest city, Auckland is home to some 1.5 million people and is also the largest Polynesian city in the world, with a rich mix of cultures from around the world. Auckland is not just a great city, but a whole region waiting to be explored. One minute you could be picking up designer fashion or dining at a waterfront restaurant and within 40 minutes from the city centre, you could be on an island in the Hauraki Gulf, sampling fine wines at a boutique vineyard, or exploring the wild west coast beaches. Proud to be New Zealand's largest and most experienced company in this distinctive field. Oceania provide equipment and professional crew for events of every size and kind, in many different locations, right from design, to setting up, to packing out. Oceania Sound and Light have been activating the Splore Main Stage and DJ Stage for many years, always delivering world class, leading edge production with fantastic lighting design and sublime audio quality. If you've every lost your cookies at the main-stage light show or grooved on down at the Splore DJ stage you'll know exactly what we mean. Go Media is a community focused Outdoor Media company, and the uniqueness of the Splore festival aligns with our brand values. We are all about having fun and being part of the community. Splore is an event that we love to bring our staff, family and clients to share and experience the great atmosphere and ambience of quintessential Kiwi summer. Splore is proud to announce it will be working with The Glass Packaging Forum (part of The Packaging Forum), and waste management partners Clean Event, to create a case study for events to get their glass recycled separated by colour. Glass needs to be separated into each colour in order to be correctly recycled into new bottles and jars. Using recycled glass (also known as cullet) reduces energy consumption by 20% (recycled glass can be melted at a lower temperature compared to using virgin materials materials which need higher temperatures), and can reduce greenhouses gases by up to as much as 50% depending on the amount of cullet. Glass is extremely effective for recycling once colour separated, and up to 95% recycled glass can be used to make a glass product with no difference in quality. And, unlike plastic which has to be “downcycled” into a less useful product, glass can be recycled over and over and over again. Forever. 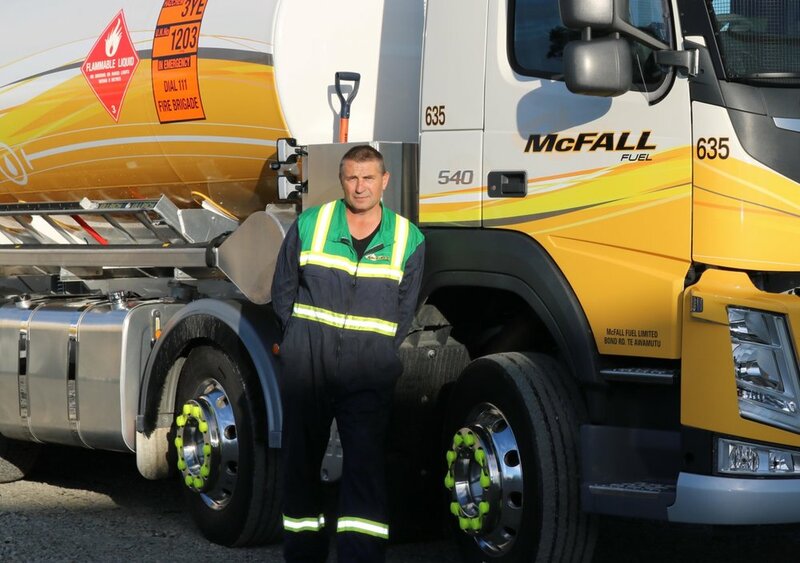 McFall are a small family-owned fuel delivery business set up in the 1980’s, McFall Fuel has rapidly grown into a large-scale operation, delivering fuel and lubricants to commercial and construction businesses, forestry crews, agricultural contractors, fishing boats, farmers, and a number of niche businesses throughout the north island of New Zealand – from Warkworth to Wellington and everything in between. McFall are delighted to be making fuel an easy solution and assisting Splore to source well priced fuel to run the festival. At McFall Fuel we work hard as a team to achieve Zero Harm - No harm to people - No harm to the environment - No accidents. Our rigorous training programmes and our very strong commitment to health and safety practices along with searching for initiatives to look after the environment is at the forefront of all we do.